After Ally Financial acquired TradeKing in 2016, its brand value will likely become better known. Plus, its product expansion into Forex and automated portfolio management via TradeKing Advisors allows TradeKing attract an even larger customer base. TradeKing trading platform serves a broad range of customers from frequent traders to buy-and-hold investors. 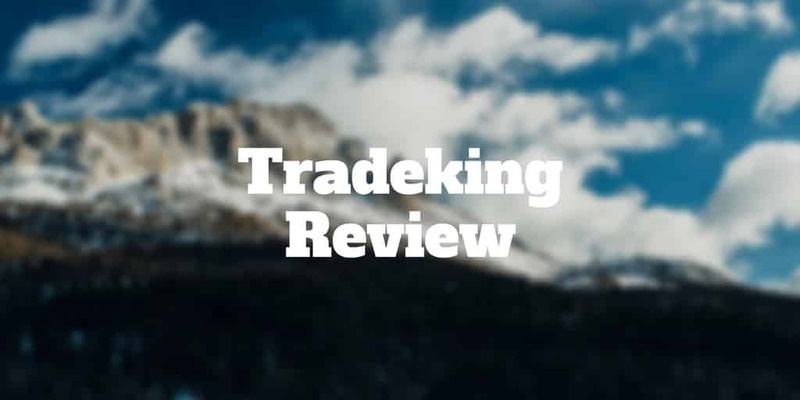 TradeKing began as a low-cost brokerage firm with great customer service that focused on building a community of traders who could share trading ideas (shut down in 2014 as dedicated social networks like StockTwits gained in popularity). Since its inception, TradeKing has evolved from attracting fee-conscious customers to including a broader target audience seeking quality research, automated portfolio management, futures, fixed-income and forex trading. TradeKing does have an annual inactivity fee which customers should note. Account balances falling below $2,500 or accounts with no activity over the prior 12 months are subject to a $50 inactivity fee. TradeKing has few rivals capable of matching its highly competitive fee schedule, though OptionsHouse stands toe-to-toe with them. For all-round depth of offering, including options, forex, futures, fixed income, automated portfolio management, research and navigability, TradeKing stands out from the pack. Mutual fund investors and ETF traders will be disappointed by the lack of no-transaction-fee mutual funds, and no-commission ETFs but most other traders and investors will be more than pleased with TradeKing. ✅ Low-cost Commissions: $4.95 flat rate stock trades and options trades with the same base rate plus $0.65 per contract are highly competitive commissions costs with which few brokerage firm rivals compete. In addition to low-cost commissions, margin rates are highly competitive, capping out at 8.00% and as low as 4.25%. ❌ Mutual Funds & ETFs: TradeKing offers no no-transaction-fee mutual funds however it charges just $9.95 for no-load mutual funds which is less than half of what it costs at most brokerage houses. No no-commission ETFs are available at TradeKing though $4.95 per transaction is not a steep hurdle compared to charges elsewhere. ✅ Web Platform: Fast, accurate order execution via a browser-based platform that has real-time data, streaming quotes and a mobile offering creates a great overall trading experience. ❌ Inactivity Fee: A $50 inactivity is charged on taxable and qualified IRA accounts that have no activity over the prior 12 months or fall below $2,500 in value. ✅ Excellent Trading Tools: Options traders will be especially pleased by TradeKing’s profit/loss calculator and tax calculator, Maxit Tax Manager, that shows the tax impact of trading strategies (capital gains tax short-term and long-term as well as short sales and wash sales). ❌ Navigability: TradeKing Live, a responsive website, rolled out in 2014 overcomes the navigability issues previously associated with TradeKing’s platform, such as numerous security questions just to access the platform; TradeKing Live has been housed separately but that is expected to change. ✅ TradeKing Live: TradeKing Live is a giant leap in the right direction for TradeKing as it seeks to improve user experience with a fully responsive website that is mobile friendly with a customizable dashboard, streaming quotes and easy-to-place trade orders. For traders seeking an all-round platform that delivers great value, TradeKing far exceeds expectations. The combination of low commission rates, in-depth research from Standard & Poor’s, automated portfolio management, great tools and calculators, no account balance minimum and great customer support gives larger brokerage firms a serious run for their money and TradeKing for the most part wins on the critical criterion of cost structure.